A rare video interview of Selena Quintanilla, the adored Tejano pop singer-songwriter, has surfaced after more than 20 years of obscurity. The video was digitized by the Smithsonian’s National Museum of American History and published on YouTube in mid-September. The museum found the video on a tape that was in a television camera that Univision’s San Antonio affiliate had donated to the museum’s Spanish language television project, according to the text that appears on the YouTube video. The video was shot just before Selena performed at the “Texas Live” Music Festival at Hemisfair Park in April 1994. During the interview, a light-hearted Selena talks about being nominated for a Grammy award and nabbing the title for Best Mexican-American Album. “When they first told us we were nominated we all freaked out. We couldn’t believe it,” she told the reporter. She goes on to say the first thing that came to her mind was to take a camera to the Grammy Awards to take pictures with all the stars. The singer, who was 23 years-old at the time the video was recorded, was the first Tejano artist to win in that category. 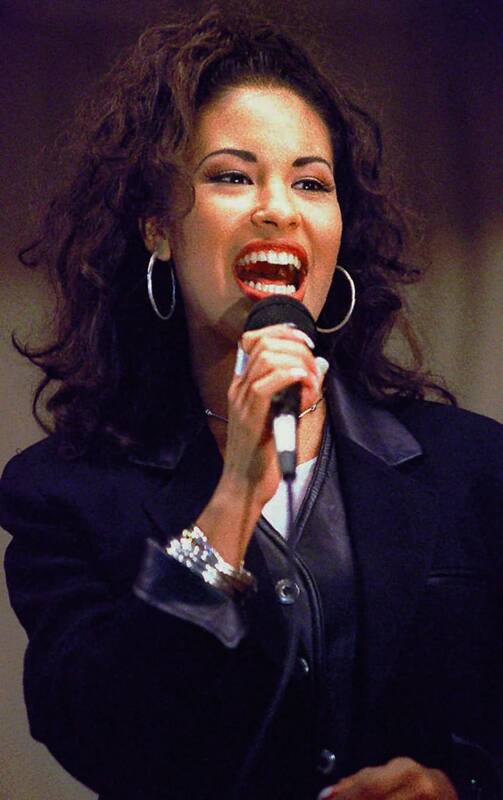 Selena helped open doors for many Latinos who entered the entertainment world after her. She died tragically in March 1995 after being shot by the founder of her fan club.